MP Bantu Holomisa spoke at ITWeb's Governance, Risk and Compliance 2017 conference. Why does our government not take the implementation of governance, risk and compliance (GRC) more seriously? After all, it is the business of government to make sure our country becomes a powered investment destination. This point of debate was posed by MP Bantu Holomisa, one of the keynote speakers at ITWeb's Governance, Risk and Compliance 2017 conference in Johannesburg yesterday. 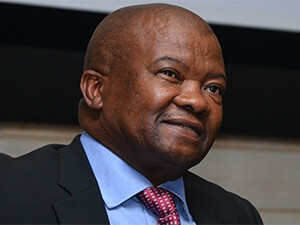 Holomisa said, in his opinion, the major stumbling block to proper implementation of GRC in government is, "that those people who are supposed to walk the talk, are found with their hands in the cookie jar in far too many instances and the people and/or organisations that are supposed to preside over the effective management of the government have shed that responsibility". Giving a case in point of the lack of implementation of GRC in state-owned enterprises and companies, Holomisa pointed to the SABC, stating there is a failure to internalise the meaning and significance of governance, risk and compliance. "Turnover of boards, board chairpersons and officials is an area of concern, as well as inappropriate interference from government and then of course perennial corruption. The collapse of the institution is a result of a failure to do things the right way. The fundamental interest of society and the principles of inclusive development were sacrificed at the altar of divergent and divisive interests of some political and social elites," said Holomisa. The United Democratic Movement leader further explained that a socio-political approach towards GRC in government must promote high ethical values and standards. This, he said, would then be the foundation for sound policy development, adoption and implementation, which will be in line with the purpose of serving the people and ensuring societal development needs are met. Holomisa applauded the Competition Commission for the recent findings on alleged currency manipulation and collusion by many major banks operating in the country. "In terms of compliance, the Competition Commission has done courageous work to expose this corruption in the private sector...the individuals who played these games showed a shocking lack of patriotism and callousness as this mess reverberates throughout SA....it affects all of us. Not only does it affect the man on the street and the future of the companies but such shenanigans affect SA's standing with the rating agencies. "The people at the helms of state-owned enterprises and companies must be persons of good standing, with independent minds and they should have the relevant expertise and skills to fulfil the tasks of these organisations," he commented. "GRC practitioners ? both at a level of the organisational boards and executives ? must contribute to the development of relevant strategies and taking correct decisions, ensuring accountability and introducing and maintaining effective management teams," concluded Holomisa.